Roosebeck Microfiber Polishing Cloth RBSMFPCI. 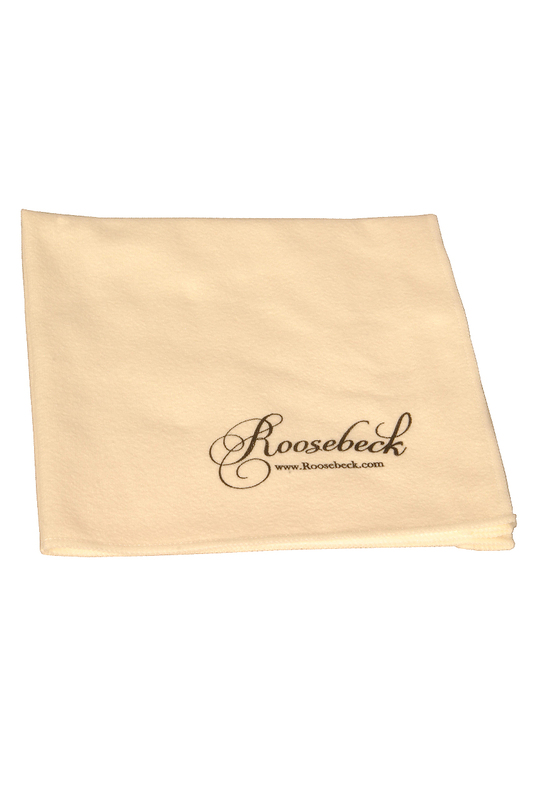 The Roosebeck Microfiber Polishing Cloth is a superior, innovative, chemical free, hypoallergenic cloth for polishing your instruments. One strand is 100 times thinner than the thickness of human hair, and is made of polyester 80% and nylon polyamide 20%. Microfiber is preferred for its very lightweight, super absorbency, and rapid drying properties. It has a soft and delicate powder-like touch. It is approximately 11" x 11" square.